The area between Tanjong Pagar and Raffles Place MRT station is paved with unique restaurants and merchants. 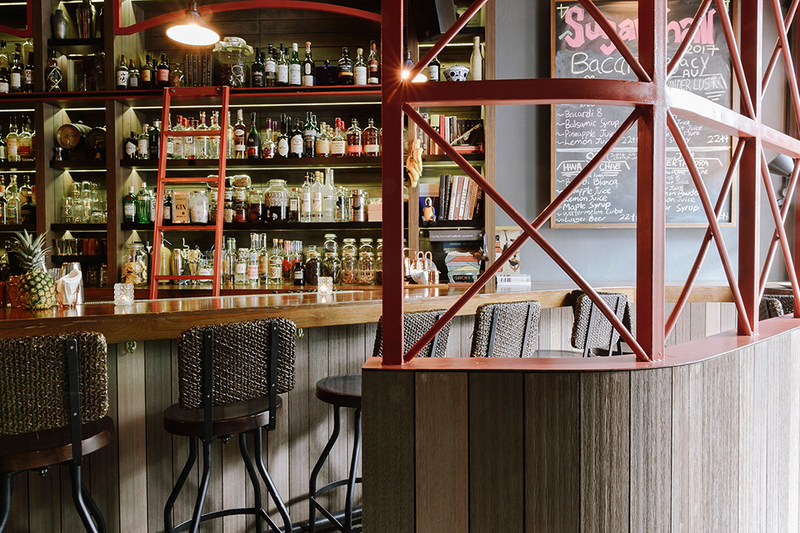 If anything, the central roads of the CBDincluding Telok Ayer, Amoy Street and Boon Tat Street are proving to be an emerging favourite among Singaporeans for its laid-back vibe and central location. In fact, some of our favourite hang-out spots are in and around this pocket of the city, and we love the diversity of cuisine that can be found here. 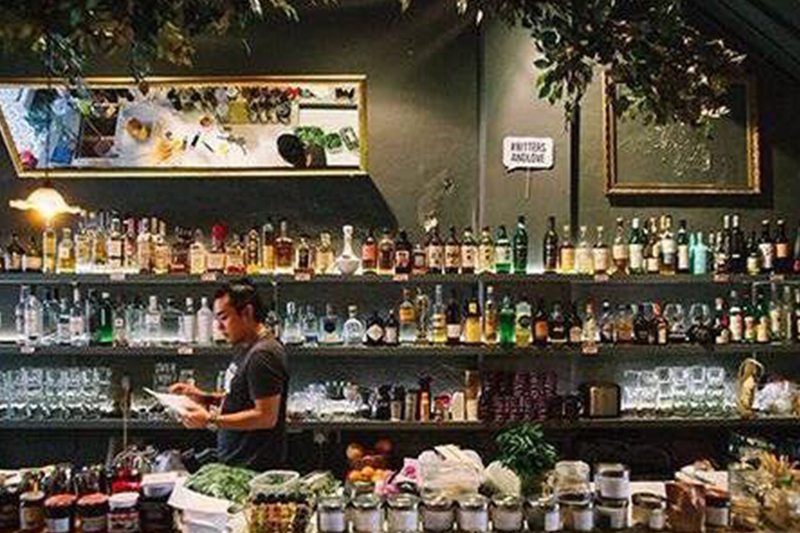 From Japanese and Vietnamese, to southern style BBQ and Argentinian steaks, you’ll find it all in this eclectic ‘hood (and don’t even get us started on the amount of seriously good cocktail bars lining the streets, hic!). So we took it upon ourselves to round up a few top picks of spots to check out for drinks, dinner, and more. The decor may be nothing to write home about, but Freehouse is more about the finer details that go into each of its craft beers and ciders than fancy furniture and fluffy artworks. 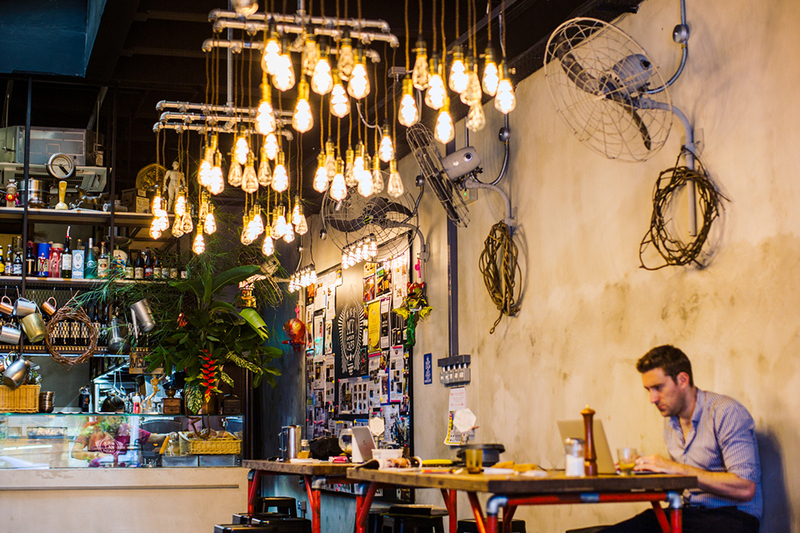 Located in a shophouse on Boon Tat Street, this laid-back boozer features bottles and cans of microbrews from around the globe, as well as 16 taps that constantly rotate to showcase tipples like Lervig White Dog Wheat Ale and Yeastie Boys Pot Kettle Black Porter. Grab some Asian-inspired pub grub to soak up all those IPAs and ciders. You’ll find The Spiffy Dapper at the top of a discreet staircase within a shophouse on Amoy Street. Look out for the ‘Dapper Coffee’ sign if you’re struggling (it’s a speakeasy, it’d be cheating if it was too easy to find!). The ambience here is laid back cool with decor that includes a long copper bar and plenty of wood beams. The bartenders serve great housemade coffee by day and bespoke cocktails by night. Despite offering a hipster’s dream drink menu (think craft beers, small batch bourbons, and bespoke made-to-order cocktails) the vibe at The Spiffy Dapper is anything but pretentious. The tunes are great, the staff are always up for a cheeky chat, and George the owner is an absolute riot. 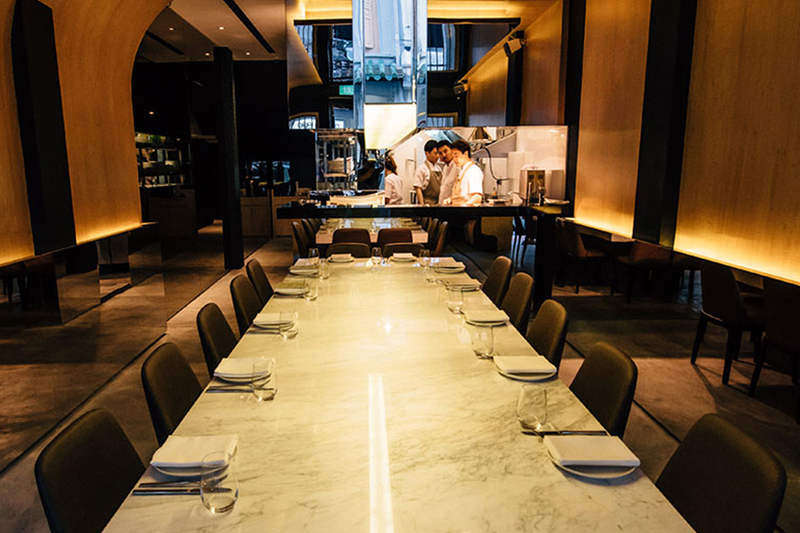 Singapore’s bar scene was buzzing for months prior to the opening of Employees Only, a New York City institution that consistently wins the top spot in the World’s 50 Best Bars list. Situated smack dab in the middle of buzzy Amoy Street, Employees Only gives its neighbours a run for their money thanks to its cool speakeasy style interior and sophisticated cocktails shaken and stirred by world-class bartenders. Order the bone marrow poppers as a nibble to accompany your cocktail, they are fiendishly good. Cool beats, smokey grilled meats, and a pirate-worthy stash of over 50 bottles of rum are the main draws at Sugarhall, a hip bar and grill concept on Amoy Street just next to its sister operation Jigger & Pony. Sample some of the signature cocktails, try a flight of various rums, or go big with a communal punch bowl. The shared plates and grilled steaks will also hit the spot. 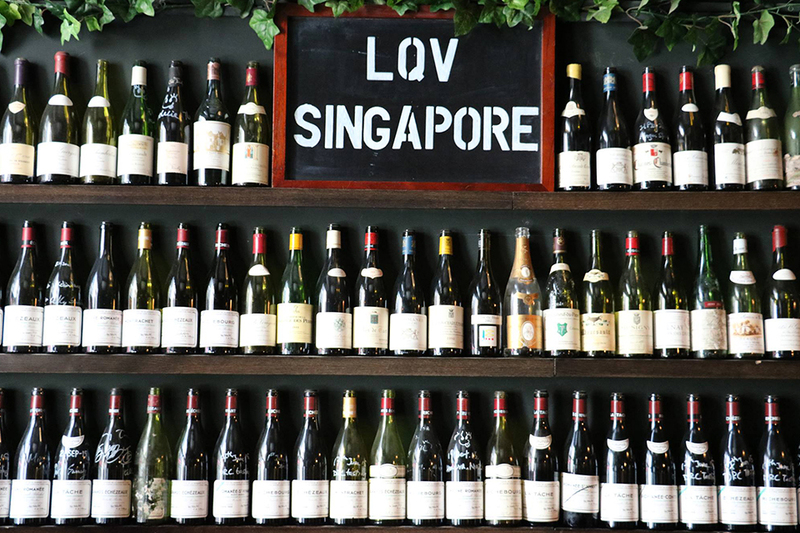 New to the CBD is Le Quinze Vins, a branch of the highly respected Parisian wine bar of the same name. 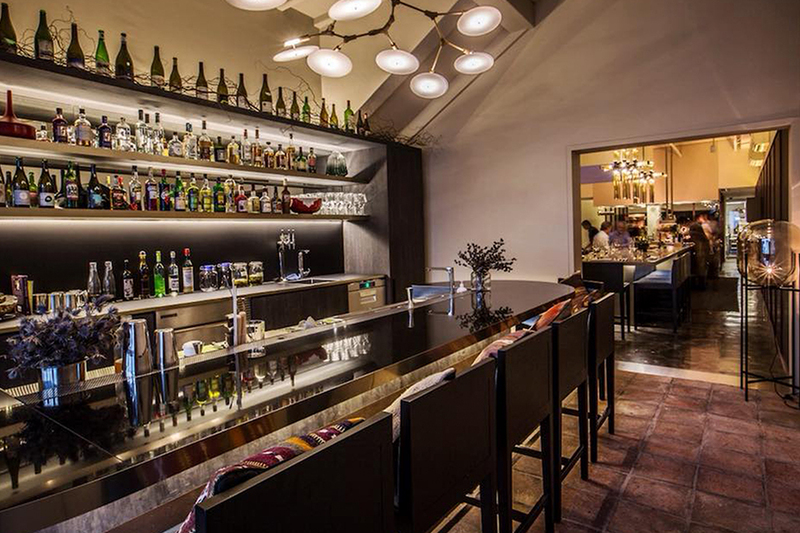 The space is small at just 200 square feet, but the wine list is huge with over 5,000 bottles on offer, many of which hail from wine growing regions the length and breadth of France. It’s a great little spot for after-work drinks when you’re craving decent vino, top-notch cheese, and proper crusty bread (it’s flown in from France and is the real deal). Be sure to ask the bartenders for their suggestions; they’re always new bottles from both big-name and lesser-known winemakers available. Like the name suggests, My Awesome Cafe is, well, an awesome place to hang. Set in a renovated historic shophouse, the space features high ceilings, repurposed furniture, and table setups that encourage conviviality and conversations. The menu is equally as easy-going as the vibe with a selection of salads, sandwiches, and great cold cuts and cheese platters that go perfectly with a bottle or two of its decently priced wine. My Awesome Cafe, 202 Telok Ayer Street, Singapore 068639. p. +65 8428 0102. Open daily 9:30am – 12am. How can you not love a spot that has affordable bottles of wine from around the globe and a special counter just for Iberico and cheese? 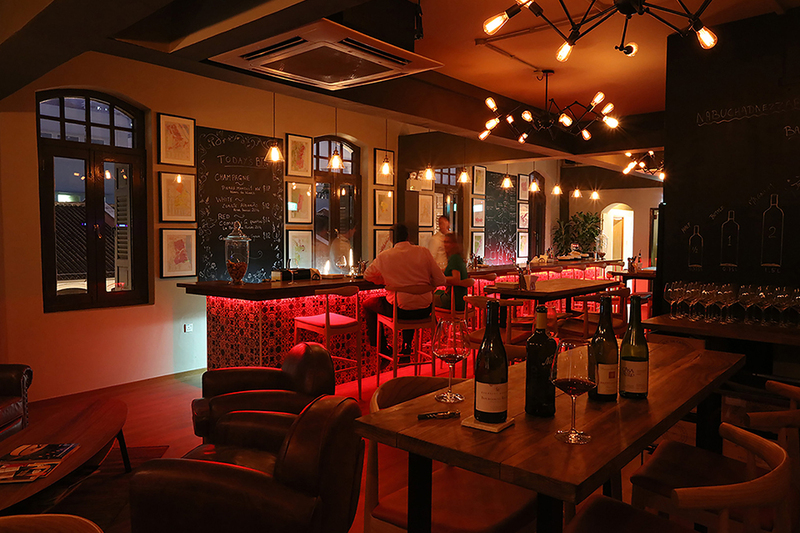 13% Gastro Wine is one of our absolute favourite wine bars in Telok Ayer. The space is cosy and inviting, they have a great selection of vinos by the glass or bottle, and the European comfort food bites are divine. Need a bottle of booze to take away for dinner at home or a party? They can hook you up with that too. 13% Gastro Wine, 123A Telok Ayer Street, Singapore 068592. p +65 6291 6816. Open Mon – Sat 5pm – late. Located just above My Awesome Cafe, Kabuke is a smart little sake bar decked out in kabuki-inspired decor. Grab a seat at the bar or one of the tables with cushioned stools and sample some of its fine sakes that come from all corners of Japan. 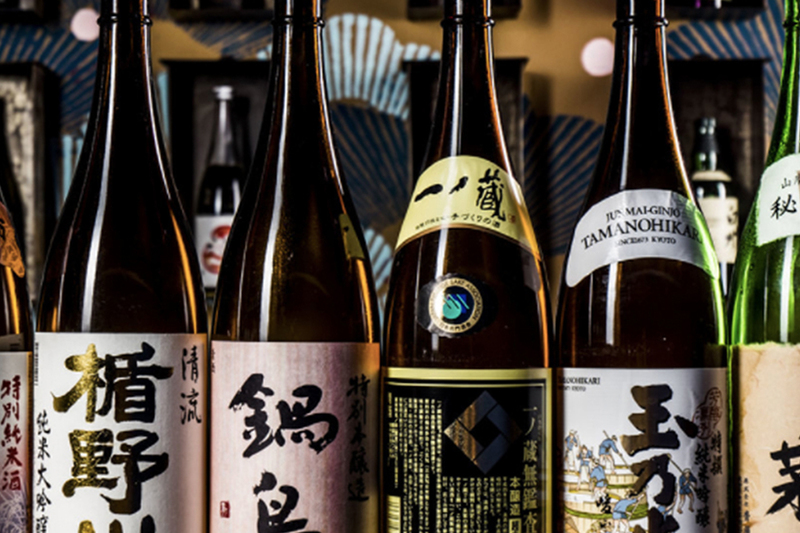 Each day it has a $5++ sake of the day special, or you can create your own flight of three types of sake for $24++. Be sure to try some of the izakaya-style eats like the tuna tatake or tsukune skewers. Kabuke, 200A Telok Ayer Street, Level 2, Singapore 068638. p. +65 8822 5525. Open Mon – Fri 11:30am – 2pm, Mon – Thurs 5pm – 11pm, and Fri – Sat 5pm – 12am. Free the Robot / Bitters & Love, 118 Telok Ayer Street, Singapore 068587. p. +65 6438 1836. Open Mon – Thurs 6pm – 12am and Fri – Sat 6pm – 2am. 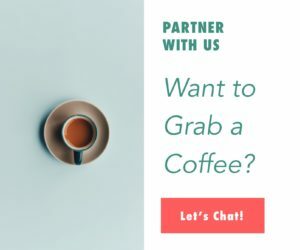 Common Man Coffee Roasters is renowned for its excellent house-roasted beans, so it should come as no surprise that Java junkies are flocking to Common Man Stan, the latest addition to its burgeoning Singaporean coffee empire. Coffee aside, the food menu is also worth checking out and is a current favourite at UJ HQ for breakfast or brunch. There’re plenty of healthy, clean options like scrambled egg whites with sauteed kale, or if you’re on a cheat day be sure to try the fluffy pancakes with caramelised banana or super-stacked Common Man burger. 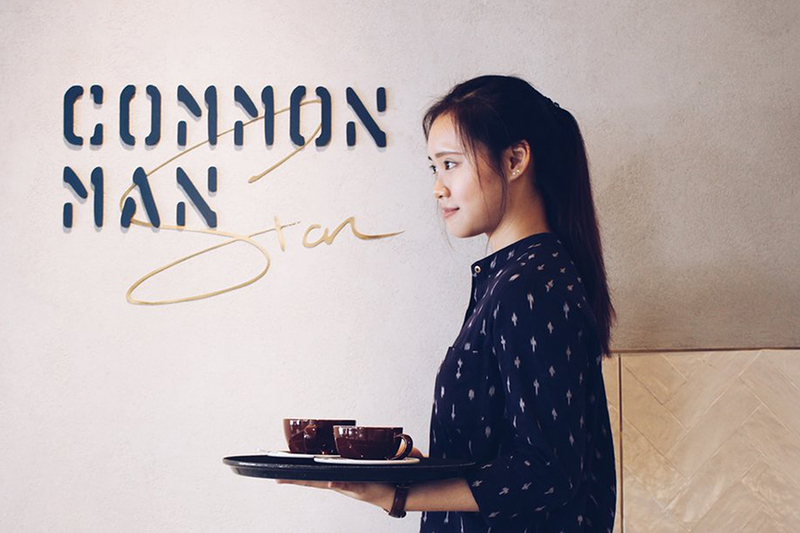 Common Man Stan, 11-12 Stanley Street, Singapore 068730. p. +65 6877 4855. Open daily 7:30am – 5:30pm. Cool coffee house by day and speakeasy-style bar by night, Dapper Coffee (aka The Spiffy Dapper) is a quirky spot to grab a cup of joe and all-day grub. 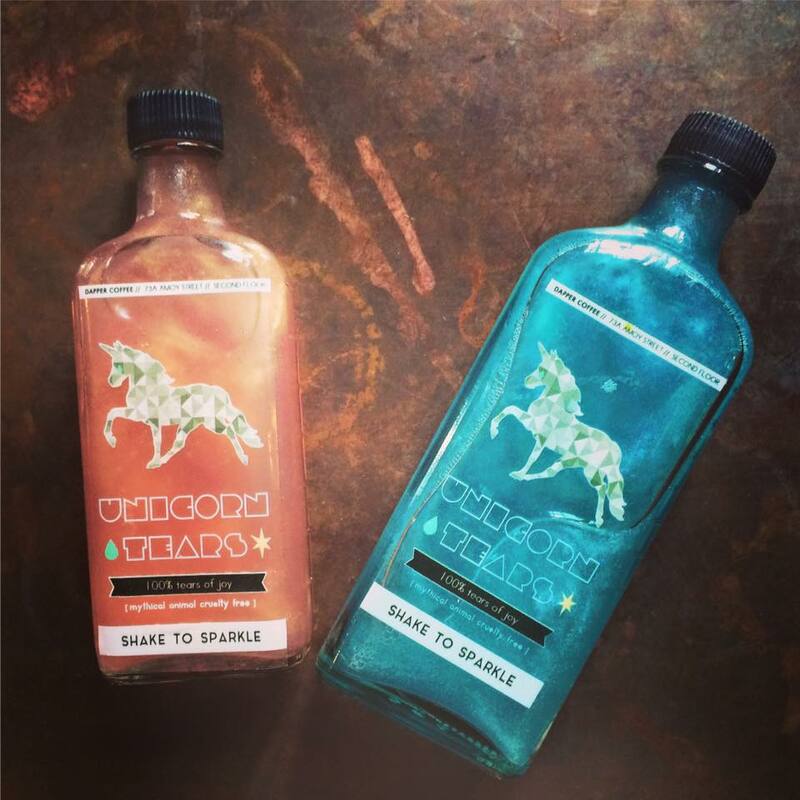 You’ll find the usual espresso drinks on offer, but if you’re feeling adventurous opt for the signature sparkly gold or blue drinks, otherwise known as ‘unicorn tears’. Some of our favourite dishes include the Dapper granola with fresh berries, the macaroni and cheese with crab meat and aged cheddar, and the garlic butter shrimp. Dapper Coffee, 73A Amoy Street, Singapore 069892. p. +65 8742 8908. Open Mon – Fri 8am – 5pm. 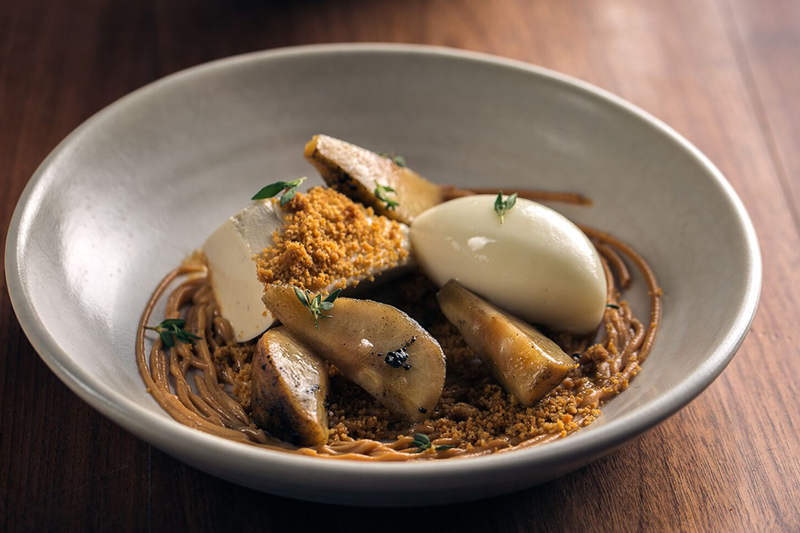 Recently awarded a Michelin star, Cheek by Jowl is a modern Australian spot brought to us by Chef Rishi Naleendra, his wife Manuela Toniolo, and the Unlisted Collection Group. The vibe here is fresh and contemporary, as is the menu, which features multicultural influences and natural, sustainable ingredients that pair well with the organic, biodynamic wines on offer. To truly experience Chef Rishi’s innovation, we highly suggest the five-course tasting menu. Cheek by Jowl, 21 Boon Tat Street, Singapore 069620. p. +65 6221 1911. Open Mon – Fri 12pm – 2:30pm and Mon – Sat 6pm – 10:30pm. After tantalising taste buds at The Kitchen at Bacchanalia, Chef Ivan Brehm went on to open Nouri, a fresh new spot where the omakase and teishoku set menus change weekly depending on what’s in season at its partner farms in Cameron Highlands. 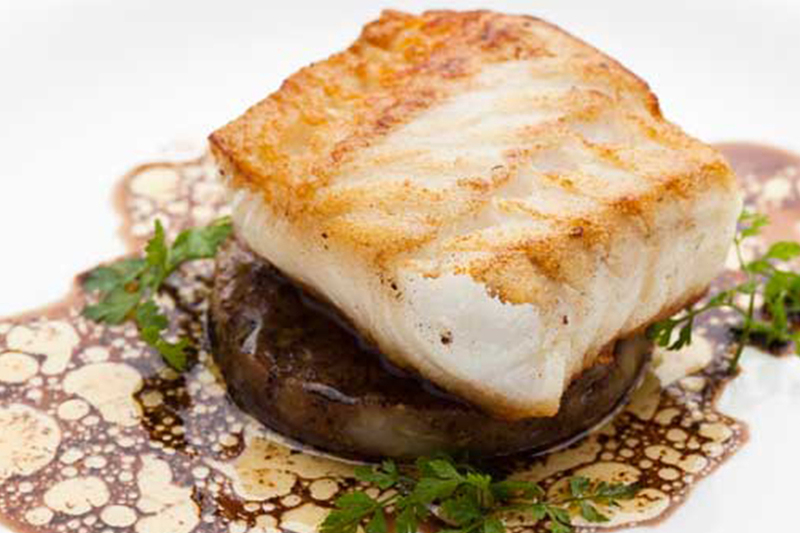 Chef Ivan draws on inspiration from a mash-up of cultures, so expect plates like a delicate grouper served with kicky burnt pepper and jalapeno salsa, or a tender wagyu rump cap with vanilla brined peppercorns. Nouri, 72 Amoy Street, Singapore 069891. p. +65 6221 4148. Open Tues – Fri 11:30am – 3pm and Mon – Sat 6pm – 12am. Kimme aims to offer simple, tasty, and accessible fare while maintaining a good dose of sophistication and class. This modern bistro is the brainchild of Chef Sun Kim, who also runs the kitchen at Michelin-starred Meta. At Kimme (a play on the chef-owners name, obvs, see what he did there? ), Chef Kim draws on his Korean heritage to create pared-back, Asian-inspired dishes with big, bold flavours; think hamachi sashimi with ginger and gochujang, or duck breast with carrot and gobo. Kimme, 47 Amoy Street, Singapore 069873. p. +65 6514 1588. Open Mon – Sat 12pm – 2:30pm and 5:30pm – 11pm. 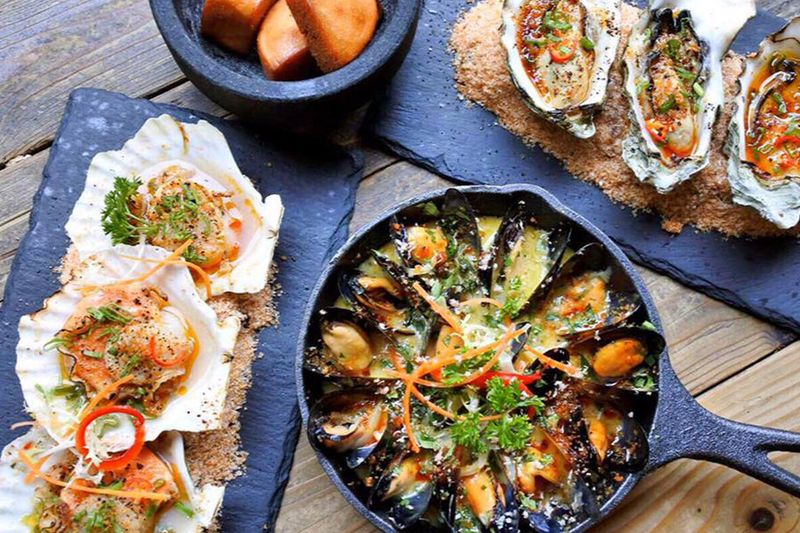 This hot spot on Amoy Street is fast becoming one of our new faves. We first stumbled upon it during drinks one Friday night and were pleasantly surprised by the fantastic vibe, so we hot-footed it back a few Friday’s later to check out the food. The restaurant was buzzy, the decor is super cool, and we loved the music choices playing in the background. The menu concept is contemporary Sichuan cuisine with dashes of Western influence, and we loved it! Be sure to order the weird taste chicken, crispy gyoza with truffle soy vinaigrette, and find the chicken in the chillies. BoCHINche has long been championing Argentinian cuisine in Singapore, and it’s a great spot to opt for when buzzy ambience and ridiculously good steak and wine are in order. For appetisers, the provoleta never disappoints (because what’s not to love about warm, gooey, unctuous provolone cheese with almonds and oregano honey) and the entrana skirt steak is a good bet for mains; it comes charcoal grilled to your preference and is served with traditional sauces and a choice of chips or salad. Tucked away in a conservation shophouse on Amoy Street, Burlamacco is a quiet nook to dig into great Italian fare. Owner and executive chef Gabriele Piegaia draws on his Tuscan heritage to create authentic regional dishes that are both rustic and hearty. To go along with his culinary creations, guests can peruse the floor-to-ceiling glass wine cellar for fine Italian wines. The concept here is modern European cuisine with Asian accents, and each dish is fired up primitive style in a Josper wood charcoal oven and served on wooden planks. 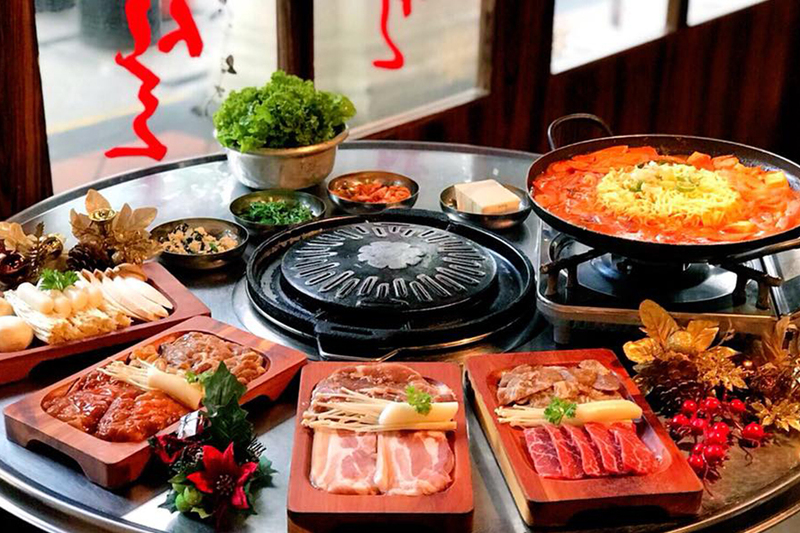 If you’re looking for a welcoming spot for a group dinner, this is super easy and casual place where you can eat, drink, and be merry while getting really good bang for your buck. This humble Japanese restaurant was modelled to mimic the interiors of a typical Japanese home. Run by a friendly couple who love to mingle with their customers and are always eager to share their knowledge of sushi, the atmosphere here is casual and relaxed. The menu features classic Japanese food in generous portions and affordable prices. If you’re craving sushi, tempura, and sobas on a tight budget, this is the place to go. 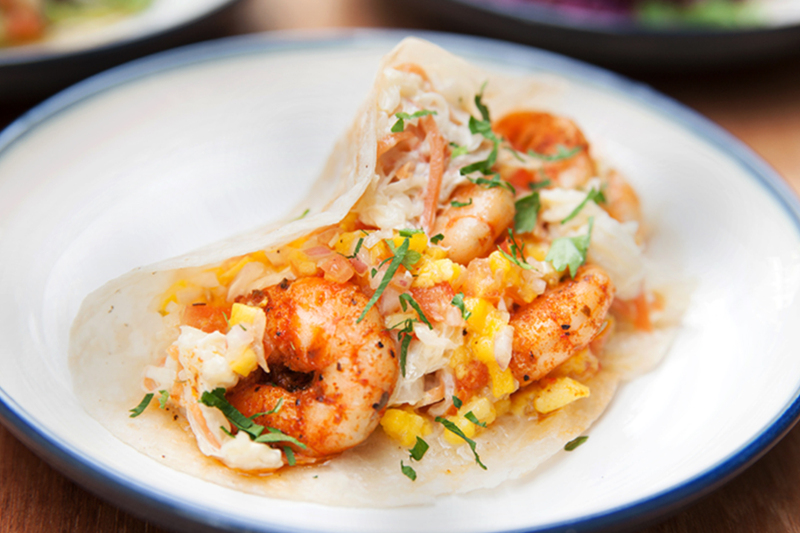 This American style smokehouse focuses on American-style BBQ and flavours of the South. The vibe here is casual and cool, and you get delicious gourmet dishes like pork ribs, roasted half chicken, and even smoked ice cream at great prices. 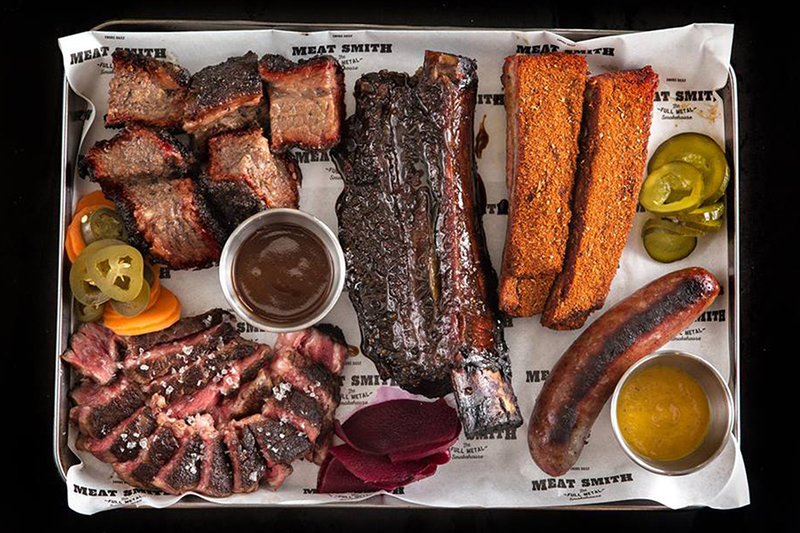 Go for the meat platter so you can try a little bit of everything. Lunchtime lineups are the norm at Park Bench Deli, a divine sandwich spot in the Telok Ayer hood where you won’t find a soggy tuna or ham and cheese sarnie in sight. 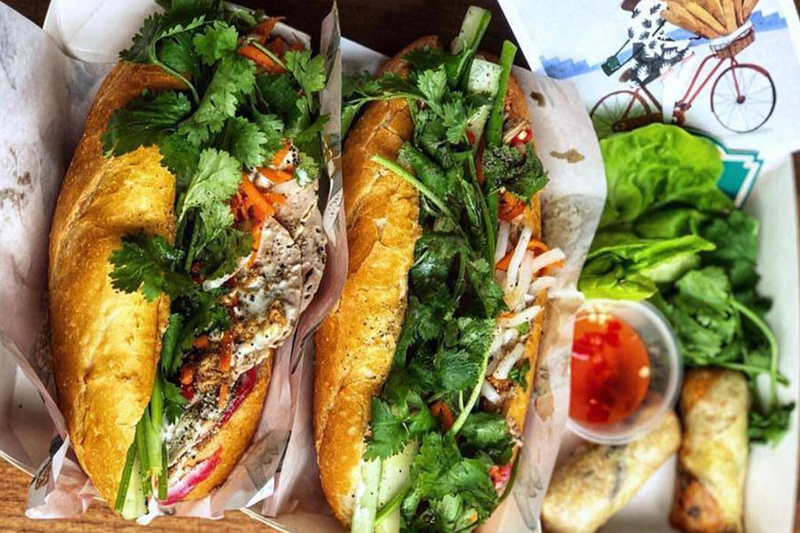 Instead, this crackin’ deli churns out gourmet creations like the southern-fried chicken with corn and cabbage slaw and Russian dressing, or kong bak banh mi with braised pork belly, pickled carrots, daikon, peanuts, and cilantro. Round it off with a healthy side of spinach or quinoa salad. Don’t you love finding a tiny hole in the wall joint with delicious grub? 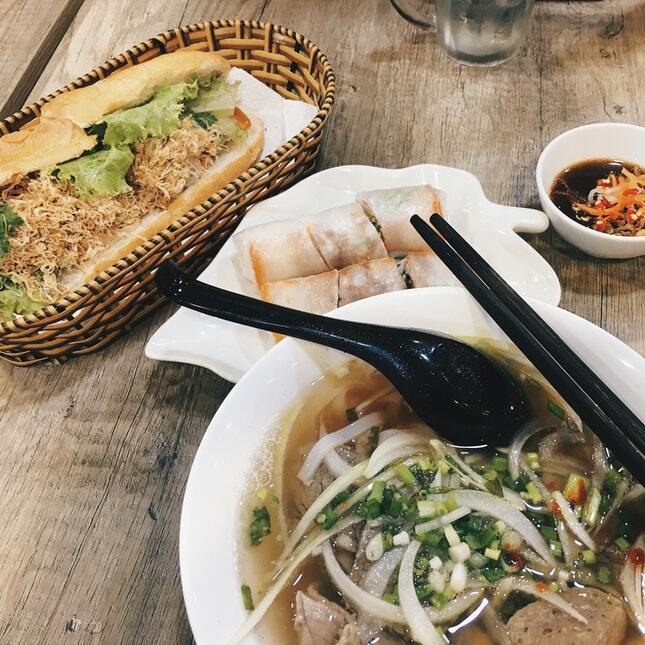 If you’re into fresh, tasty Vietnamese food and cheap eats, you should check out Pho 99 on Amoy Street. If you can only try one Vietnamese dish here, it should be the Pho Bo ($9), hands down. Oh, and the spring rolls. Definitely get some spring rolls. Located on the first floor of a shophouse along Telok Ayer, this vibrant restaurant serves Mediterranean and Western cuisine. Mostly Lebanese actually, owing to owner Mr Ghazi’s ethnic roots. 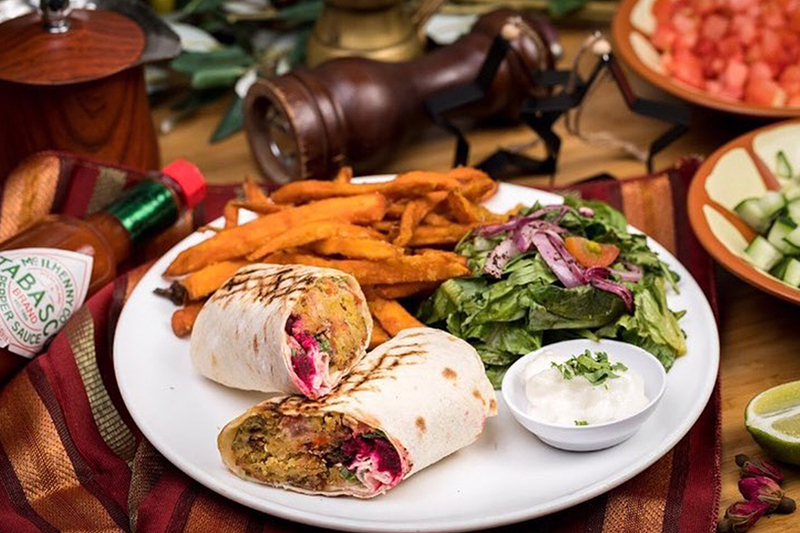 There are plenty of platters and Lebanese bread available on the menu, and despite its modern look, the food is authentic as ever and reasonably priced. Some of our favourite dishes include kafta kebabs, chicken kebab served with Lebanese rice, and the artichoke salad. Step into the industrial-looking dining room at Wang Dae Bak and you’ll feel as though you could be in Seoul with the sliding doors adorned with Korean characters, round tables with grills, low stools, and hanging smoke vents. Premium BBQ meats are on offer, and the grills even have a unique side compartment for unlimited grilled omelettes. Combining traditional hawker style food with modern flair, Wanton Seng’s Noodle Bar serves up the same classic wanton mee that its namesake location in Dunman Food Centre became famous for, but with amped up sides. A bowl of the springy noodles in rich broth with scallions and fried shallots can be topped with roasted pork belly, salted egg, sweet potato, or pork fried wontons and then doused with lashings of oil and chillis. Signature cocktails, craft beers, and sake are on the drinks menu to help you wash it all down with. The menu may be a bit all over the place with pizzas, BBQ meats, and paellas all up in the mix, but the food at Corner Bar L’Operetta is fresh and tasty and the vibe is fun. Depending on which night of the week you rock up, you can expect different specials available; think free-flow drinks for ladies on Wednesdays, seafood paella for two with complimentary glasses of Spumante, and BBQ seafood or meat platters at great prices. 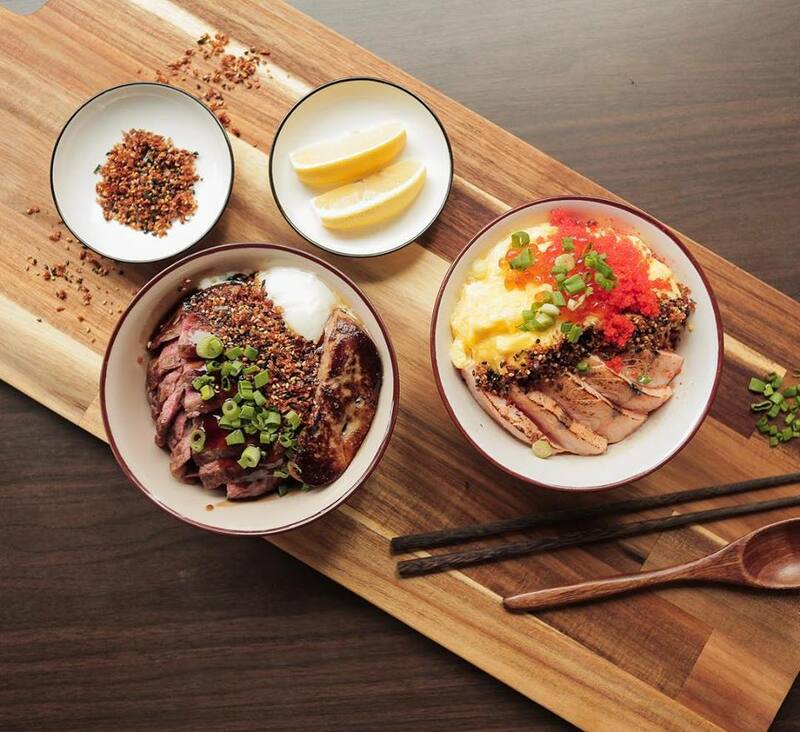 This sister restaurant to Katanashi at Boat Quay serves up intriguing Japanese tapas like grilled chicken with ultra-crispy skin and tangy lemon and yuzu pepper sauce, fried fish balls laced with edamame and topped with a slightly sweet ponzu sauce, and Unaretto simmered eel inside a fluffy omelette. Seafood lovers also won’t want to miss the kani tofu resting in a delicate homemade dashi broth and topped with succulent Hokkaido crab. You’re in good hands at No Menu, a warm and welcoming family-run spot where Chef-owner Osvaldo Forlino, his wife, children, nieces and nephews still greet guests personally and welcome you into this cosy Italian bistro. 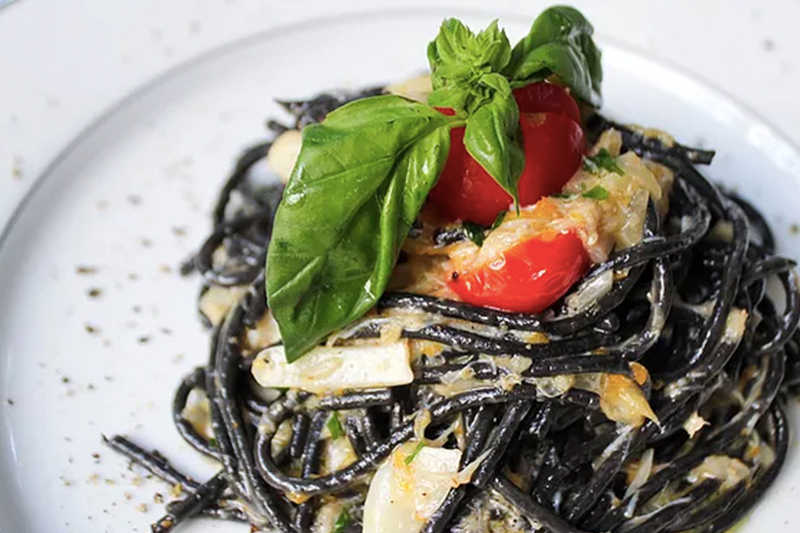 The food here is as authentically Italian as you’re likely to get anywhere else in the city, and each dish is made by hand with high-quality imported Italian ingredients and fresh local produce. Top rated dishes including the fettuccine with wild boar ragu, and ravioli burrata from Puglia, Sicilian tomatoes, garlic and extra-virgin olive oil. The Sapporo and sake flow freely within this cosy izakaya, and the spirited chefs put out a range of small plates that make use of fresh seafood and charcoal-grilled meats. Crab gratin comes in the shell and includes sweet crab meat smothered in melted cheese, roe, and soft macaroni. The Iberico pork collar yakitori is meaty and succulent, and the Ika Kuro-age features tender surume squid dipped in squid ink batter and deep fried until crispy on the outside. The sashimi lunch sets are particularly good value. Kitchen by Food Rebel describes a food rebel as someone who believes in the power of choice, wants to know how their food is produced, and understands the impact that food has on the body. If that sounds like you, then you’ll definitely want to check out this wholesome food cafe in the heart of the CBD that caters to vegans, vegetarians, athletes, and healthy eaters. We’re obsessed with the avocado and peanut butter on toast, chicken buddha bowls, and the incredible sugar-free, raw desserts. Healthy eating never tasted so good. Aloha Poke started Singapore’s obsession with poke, and it’s still going strong with its version of this Hawaiian raw fish dish. Think fresh tuna and salmon marinated in special sauces (original, wasabi mayo, and spicy) topped with scallions, pineapple, and lime. You can also choose three toppings from a myriad of extras including the likes of edamame, flying fish roe, chia seeds, and avocado. 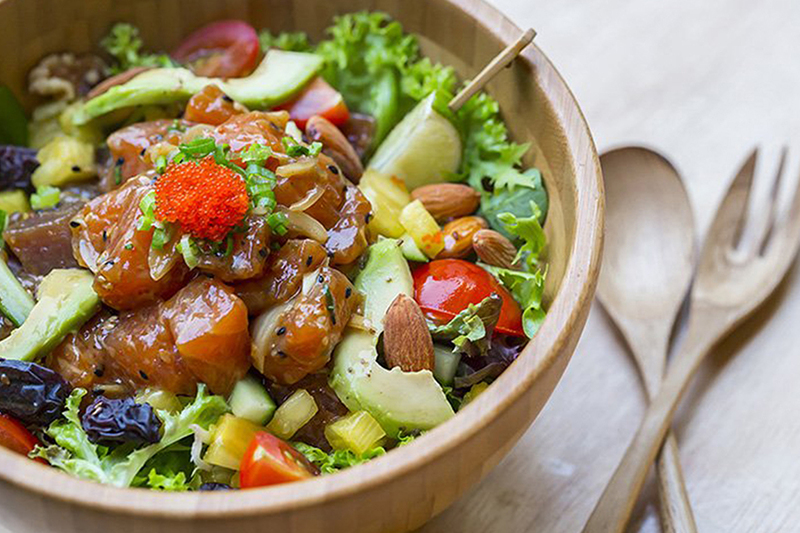 Aloha Poke, 92 Amoy Street, Singapore 069911. p. +65 6221 6165. Open Mon – Sat 11:30am – 2:30pm and 5:30pm – late. 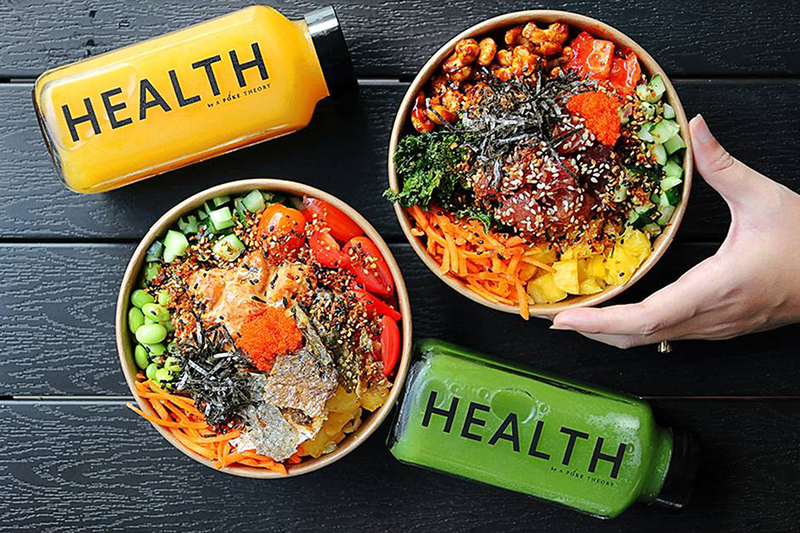 “Bangin’ food gone healthy” is the motto at A Poke Theory, a cool little cafe serving up nutritious, ultra-Instagrammable poke and superfood smoothie bowls. Build your meal from the bottom up with your choice of rice, quinoa, or lettuce. Then add fresh salmon, tuna, or avocado, and a slew of crunchy toppings like crispy salmon skin, sesame seeds, and spiced roasted cashews. It also offers healthy snack packs and refreshing homemade lemonade. A Poke Theory, 27 Boon Tat Street, Singapore 069623. Open Mon – Fri 11am – 8pm, Sat 11am – 4pm. 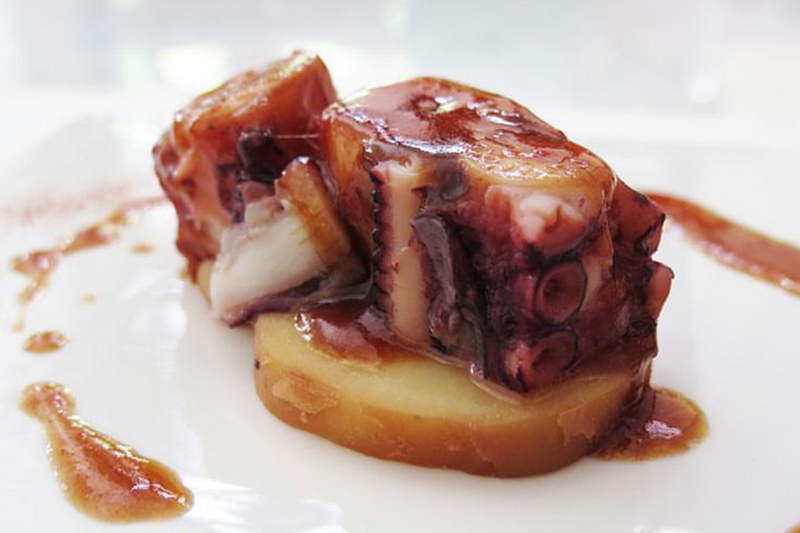 For authentic Catalan fare, you can’t beat Gaig, an offshoot of the one-Michelin-starred Restaurant Gaig in Barcelona. Here the menu features classic dishes and recipes that have been passed down through Chef Carles Gaig’s family for generations (think patatas bravas, paellas, and traditional cannelloni stuffed with beef, pork, and foie gras in a truffle cream sauce). The set lunches are great value at $38++ for your choice of four tapas and a main or $45++ for tapas, a main, and dessert. Gaig, 16 Stanley Street, Singapore 068735. p. +65 6221 2134. Open Mon – Sat 12pm – 2pm and 6pm – 9:30pm. Homestyle Korean food is the draw at Manna, an easy-going spot where the food is hearty and the prices wallet-friendly. 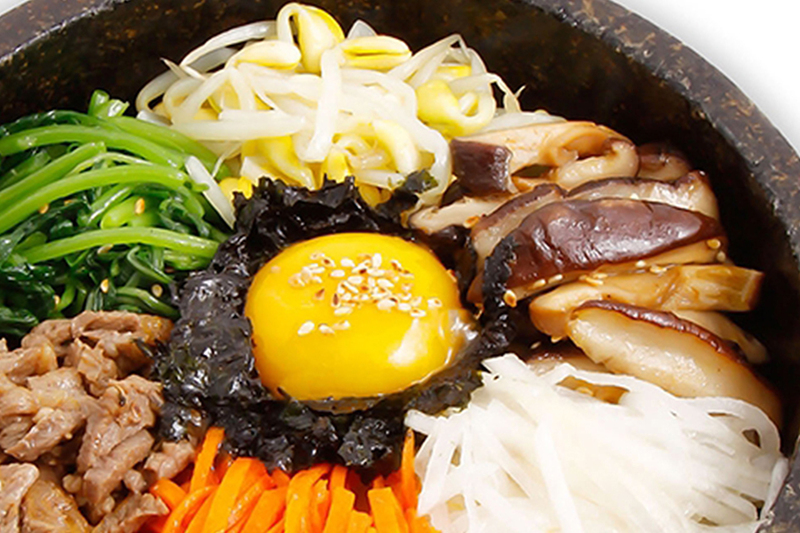 We love the dolsot bibimbap with your choice of chicken, pork, beef, bean curd, or octopus served with veggies and an egg in a hot clay pot, and the pajeon Korean pancakes with spring onions and squid. It also does awesome Korean BBQ if you don’t mind going back to the office smelling a little like grilled meat. Manna, 101-109 Telok Ayer Street, Singapore 068574. p. +65 6227 7425. Open Mon – Sat 11am – 2:30pm and 5pm – 10pm. Who says fast food has to be unhealthy? Mojo offers DIY grain and protein bowls where you can mix and match tons of veggies, seeds, grains, and meat for a nutritious and delicious lunch that comes together in just minutes. Choose from a variety of ingredients like soba noodles, spinach, roasted beef ribeye steak, roasted Norwegian salmon, housemade kimchi, and honey yoghurt coleslaw to customise your perfect bowl of goodness. Mojo, 204 Telok Ayer Street, Singapore 068640. p. +65 6220 0723. Open Mon – Sat 11:30am – 12am. Fans of fish head curry will love this popular haunt that has been serving up substantial bowls of the spicy, aromatic dish since 1983. Made with premium gold band snapper, okra, eggplant, coconut milk, and marsala spices, the soup is a vibrant mashup of Peranakan and Indian flavours. Be warned; the restaurant gets super packed during prime lunch hours, so come early or later in the afternoon if you want to bag a seat. 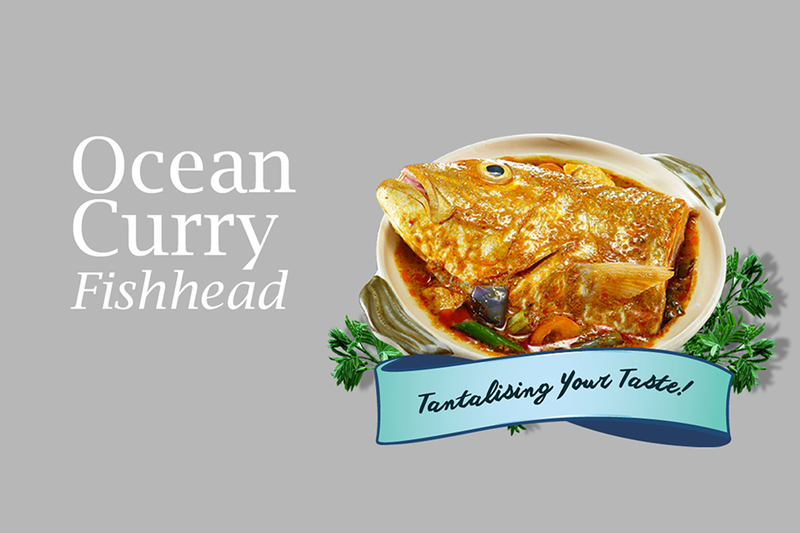 Ocean Curry Fish Head, 181 Telok Ayer Street, Singapore 068629. p. +65 6440 3880. Open Mon – Fri 11am – 3pm and 5pm – 8:30pm, Sat 10:30am – 3pm. Whenever we’re craving ramen, we head directly for Ramen Dining Suzuki, its steaming bowls of noodle soup are the real deal. 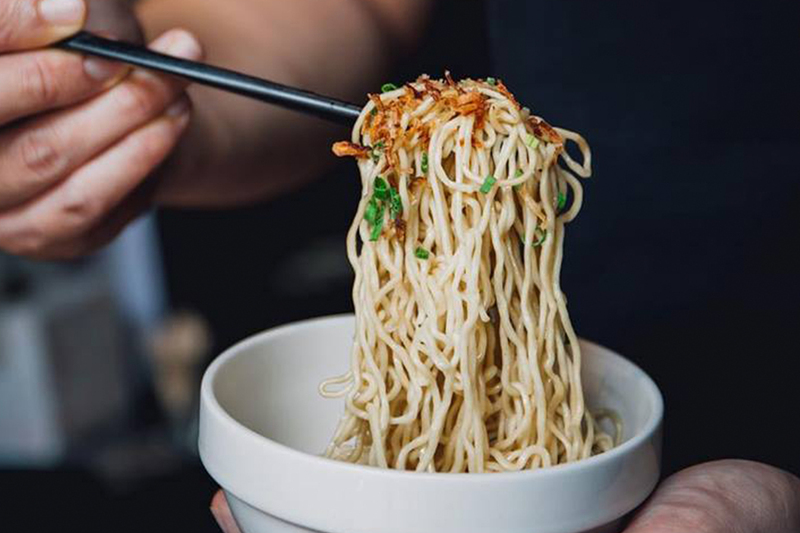 The noodles are made fresh in-house every day, the rich tonkotsu broth is made with pork bones simmered for hours, and the secret sauce has the perfect balance of spice and sweetness. The ramen comes in three flavours: white for pure tonkotsu flavour, red for a kick of chilli, and black with garlic and squid ink. Ramen Dining Suzuki, 17 Stanley Street, Singapore 068736, Open Mon – Fri 11:30pm – 3pm and 6pm – 9pm. Tucked away on Stanley Street, Trattoria Amanda has a rustic, family-run feel that complements the menu of homey Italian classics. Here Chef Salvatore Catalano puts out delish dishes like linguine with clams tossed in white wine and garlic sauce and Margherita pizza topped with fresh tomato sauce, creamy buffalo mozzarella, and aromatic basil. It also does great lunch sets with antipasti, a main, and dessert for just $28++. 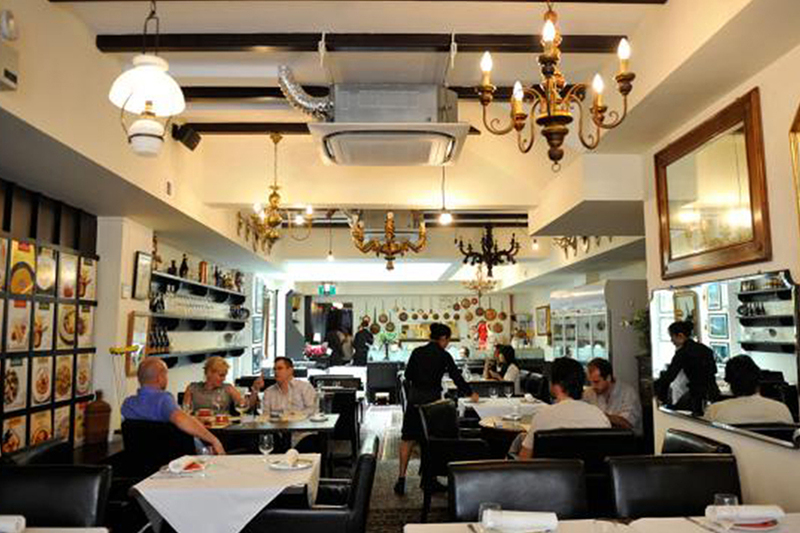 Trattoria Amanda, 14 Stanley Street, Singapore 068733. p. +65 6222 5808. Open Mon – Sat 11:30am – 3pm and 5pm – 12am. Like what you see? Stay in the know and subscribe to our newsletters which will give you the weekly low down on travel tips, as well as the hottest events, restaurants, brunches and more around town.